Check Out the May 6th Sunday Shout HERE! 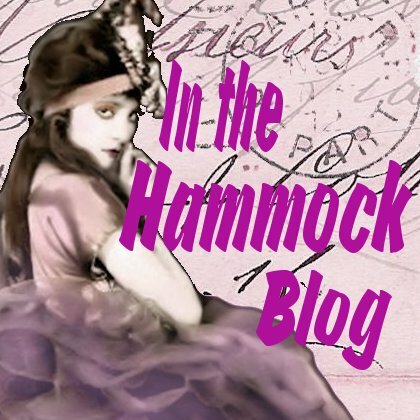 I'm introducing a new feature here at In the Hammock on Sundays. It's called "Sunday Shout Out" and it's a place where I can give a special shout out to those publishers and authors who have sent me books over the week, as well as those bloggers who have hosted contests that I've won! I'll also be giving shout outs to any other cool books, blogs or bookish news that I've spotted during the week. I know a lot of times people don't have time to read reviews, so this is a way for readers to stop by and see a lot of books and news at a glance, and that way the publishers and authors can get even more publicity for their books! I would also LOVE to see what books YOU would like to give a shout out to! Did you receive any review books this week? Win any contests? Maybe you spotted a new indie book at your local bookstore that you wanted to raise awareness about. If you'd like to link up to YOUR Sunday Shout Out, please leave your link in the comments, link back to this post, and I'll stop by and say hi! 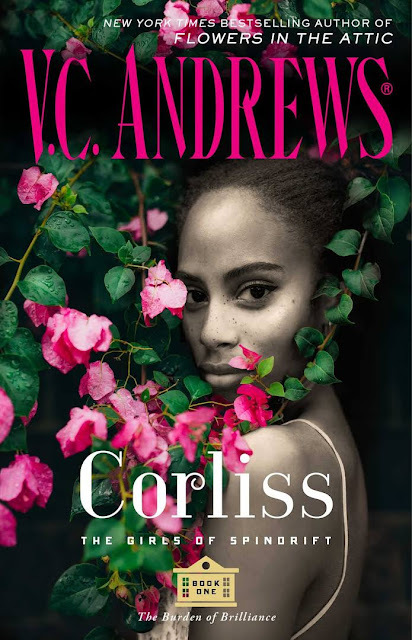 I've heard a lot of great things about the first book in the Arcadia Bell series! What a cover! Love the colors! I'm so intrigued by this story and time period. One of my favorite inspirational writers. This looks a bit different for her, but I can't wait to try it. My all-time favorite chef from Bravo's "Top Chef", Sam Talbot, has a new cookbook out. The book is geared towards a special diet for those with diabetes, but since I'm trying really hard to eat healthy, I think these recipes would work for me, too! 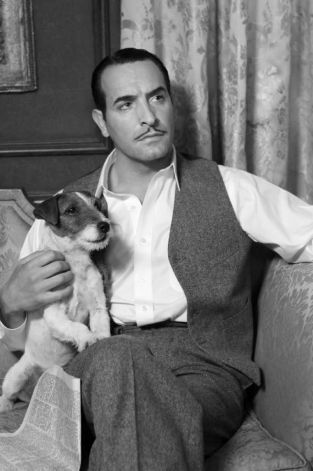 The real star of the Oscar-winning movie, "The Artist", Uggie the dog, has just signed (pawed) a book deal! The book will be titled "Uggie: My Story" and will be released by Simon & Schuster in October. I will be first in line for this one!! See original article on The Huffington Post! Now it's YOUR turn! Do you have any books, authors, or blogs that you would like to give a Shout Out to? If you make your own post, please link back to this post, and leave your link in the comments section this weekend so I can check it out, and so that other readers can stop by too!! :D and Uggie! 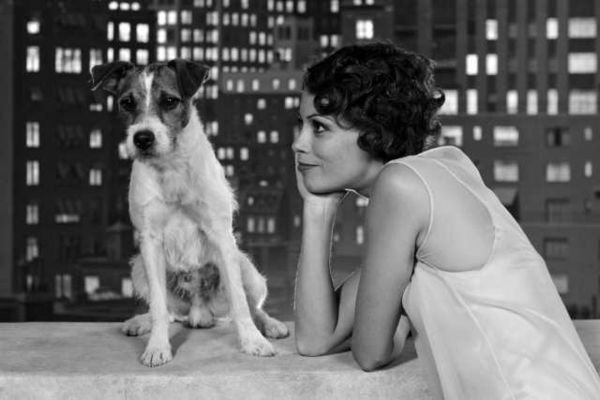 Uggie was the best part of that movie!! I was so ready not to like The Artist but Uggie won me over - and the actor does have a really appealing smile, I gotta say. Oh, and that book by Sam? I need to get that, my sister had the biggest crush on him! I did too to be honest. Also, pretty covers galore!! :D Hope they turn out to be just as good! Great feature! So many pretty book covers *swoons*. The Sweet Life sounds fantastic! I love the new feature! It's a great idea! I hope you enjoy all of your books and Uggie is the cutest dog ever! You really got nice things for review this week. I'll have to have a second look into all of them, some probably go onto my tbr, so thanks a bunch for sharing! Happy reading! Let me know if you want to read Kindling the Moon first. I think you're going to miss a lot if you jump right into bk 2. It should make sense though. have a great weekend sweetheart ^.^ happy reading! Nice new feature! I like the idea of giving a shout out to new books, but haven't made up my mind yet what I'll replace IMM with...so many awesome choices! 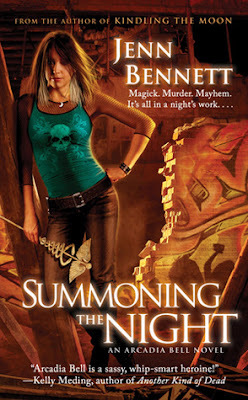 And yea for Jenna Black's new book, as she's awesome! Enjoy! Loving the new feature! 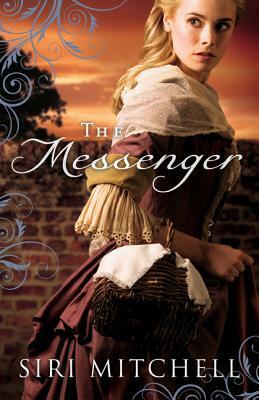 Some cool books this week, love the covers of A Love Forbidden and The Messenger. Happy reading! And good luck with the healthy eating. I always say I'm going to try to eat healthily and then fail miserably :P.
Your books look enticing! Especially The Pursuit of Lucy Banning, I'm going to have to get my hands on that! 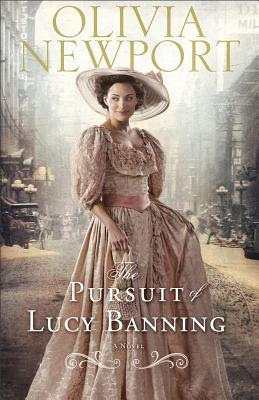 The Pursuit of Lucy Banning cover looks so pretty! Sounds good too! Holy Macanoli those first two look awesome! Thank you for stopping by Gimme's Goodies! Enjoyed having you! :) Happy Reading and hope this week is full of great new books for you! I completely love the movie "the artist! too! Enjoy all your new books! Thanks for visiting Unforgettable Books! Great selection of books! The Jenna Black one does look awesome. I'm participating in this next time. I like the Shout Out idea!! Thx for hoppin' by to say "hi"!! What a great Sunday! Boy do your books really run the gamut! Is that Jenna Black the same one that writes the YA series Glimmerglass? Probably. The cookbook looks great, makes me hungry! 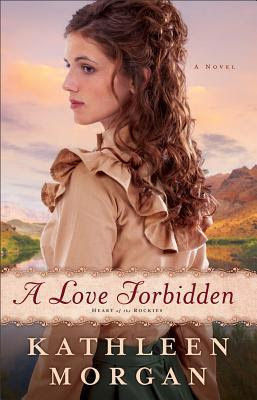 I love the cover for A Love Forbidden. The Summoning the Night cover reminds me a lot of the Chicagoland Vamp covers. I wonder if it's the same artist. Oh, will have to seek out that cookbook! Lots of gorgeous books this week! 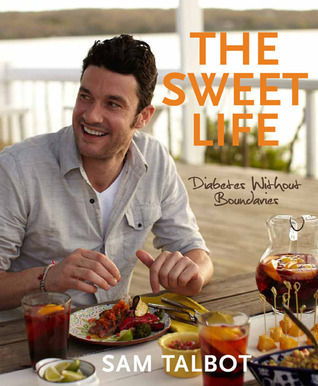 The Sweet Life is a good cookbook.. I love your blog, now I know where to come for book reviews.. Thanks so much for your lovely comments on my blog! 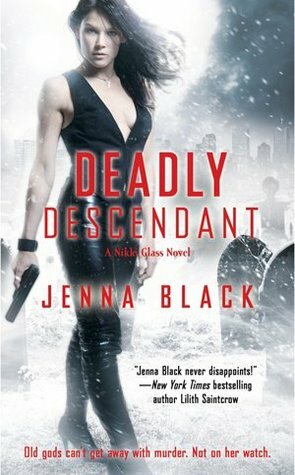 I love the cover of Deadly Descendant! I'm seeing it around a lot! Great haul, chick! I love this idea! Looks like you got a lot of historicals - cool! Uggie! That sounds like an adorable book. He's such a cutie. You received a ton of great books this week! Enjoy! I love the new feature especially the book news. I love this new feature! And that's some awesome book news, that dog is so adorable! All of the books you have for review look interesting. I like the historical looking ones. I'll have to come back and see how you like them.